Add accurate reference monitoring with enhanced bass response to your setup. 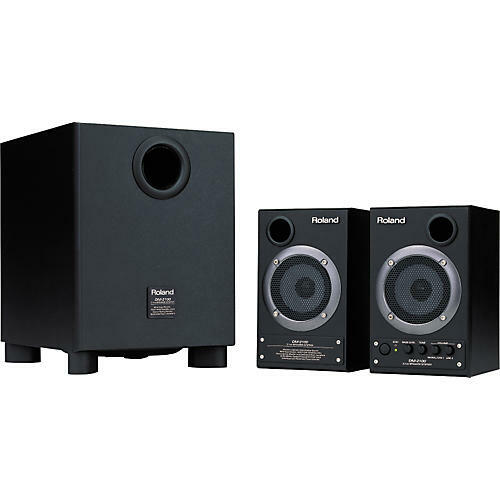 Speakers each offer 15W of power, while the 50W subwoofer provides a powerful low-end boost. And with 24-bit/96kHz digital inputs, the DM-2100 is perfect for use with Roland/BOSS digital studios, instruments, or with computer systems, and more. Coaxial and optical digital inputs, plus RCA and 1/4" analog inputs.